It has begun, folks. The Galaxy S9 and Galaxy S9+ are now getting the official Android Pie update in quite a few markets, suggesting that the worldwide rollout has started in earnest. The update is out in various regions at this point, and it should only be a matter of time before the rollout completes for most countries. As always, carried-locked devices may have to wait longer than unlocked units, and some markets will see the update come out in February for unlocked models as well. The best way to check when your country is expected to get Android Pie is to open the Samsung Members app on your S9 or S9+ and check the notices section for the Android Pie upgrade schedule. You’ll see the expected time frames for most devices eligible for the Pie update here, not just the Galaxy S9. To check if Pie is available for your S9 or S9+, open the Settings app on the phone, tap Software update, then select the Download updates manually option. An alternate way to upgrade is by downloading the Android Pie firmware for your country from our firmware section (Galaxy S9 | S9+). You can also use Samsung Smart Switch on a Windows or Mac PC. Android Pie for Galaxy devices brings a new user interface that’s designed to make one-handed usage easier and allow you to focus on the task at hand. There are plenty of new features included in Pie, and you can find out more by checking out our One UI (Android Pie) feature focus series of articles. Own a Galaxy Note 9? Check out which markets have received the Pie update here. Serbia 01.02 ,unlocked SM-G965F still no update.Samsung also removed notice about Pie update from Members app. Today is January 22nd and the update still hasn’t reached KSA. Absolutely discouraging by Samsung considering the update has been very slowly rolling out over the last 3 weeks but nothing here in KSA especially with the fierce efforts lately by Chinese manufacturers to establish a presence and overcome Samsung’s share in the largest middle eastern mobile market. Did someone encounter serious battery drain when listening to music with headphones after Android Pie update? I’m using Galaxy S9 SM-G960F. To this day, I have not seen an update to “Android 9” for the SM-G9600 model in any region, or am I wrong? They only make users excited to have One UI for their false information. That’s true. Only the exynos model getting the pie update. I have a snapdragon model us unlock SM-G965U1 and am on December security update still no android pie come on Samsung. Really!! Serbia 🇷🇸 joines the club! – no phone maintenance from edge panel! 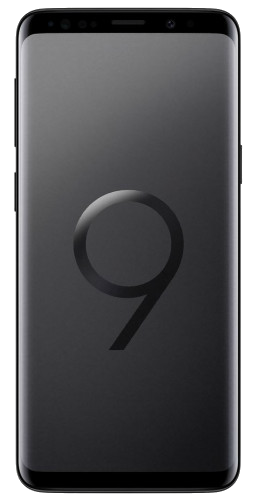 Finally, OTA 9.0 Portugal arrived! Samsung Members Brasil say we are only getting it in MARCH. Wtf!?! I just received update. My version is XEZ/ATO – Czech Republic/Austria. Pie update is rolling out here in Pakistan as well. Downloading it. Mai naspa e ca sunt dezinteresati..am sunat la Samsung Romania sa-i intreb pe ce data se face lansarea pt Romania si habar nu aveau..parca era picat din luna tipul care a raspuns..